The light look and feel of tall grasses is finely set in a horizontal textured pattern. 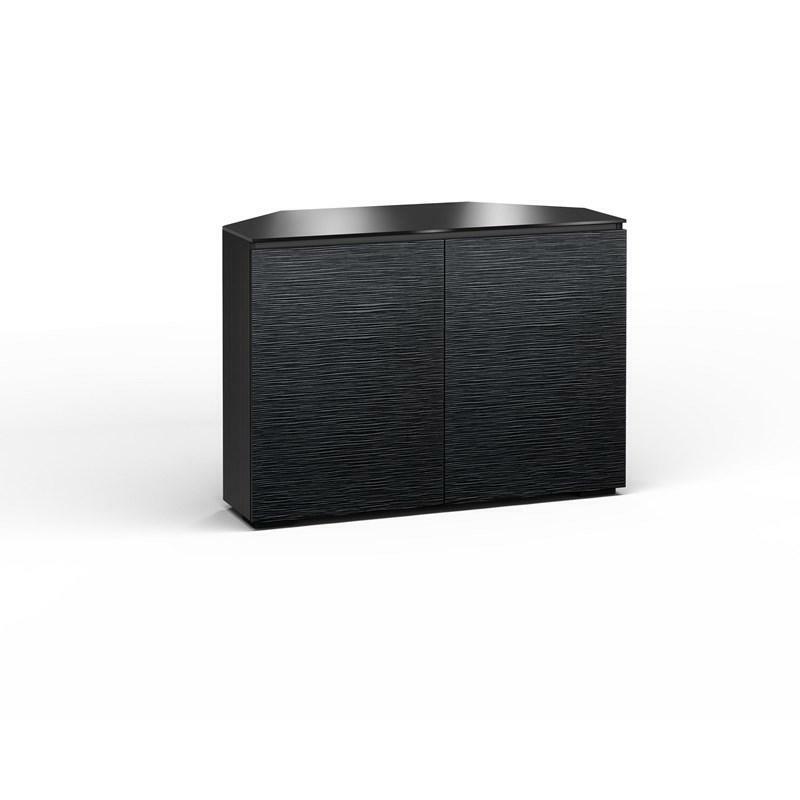 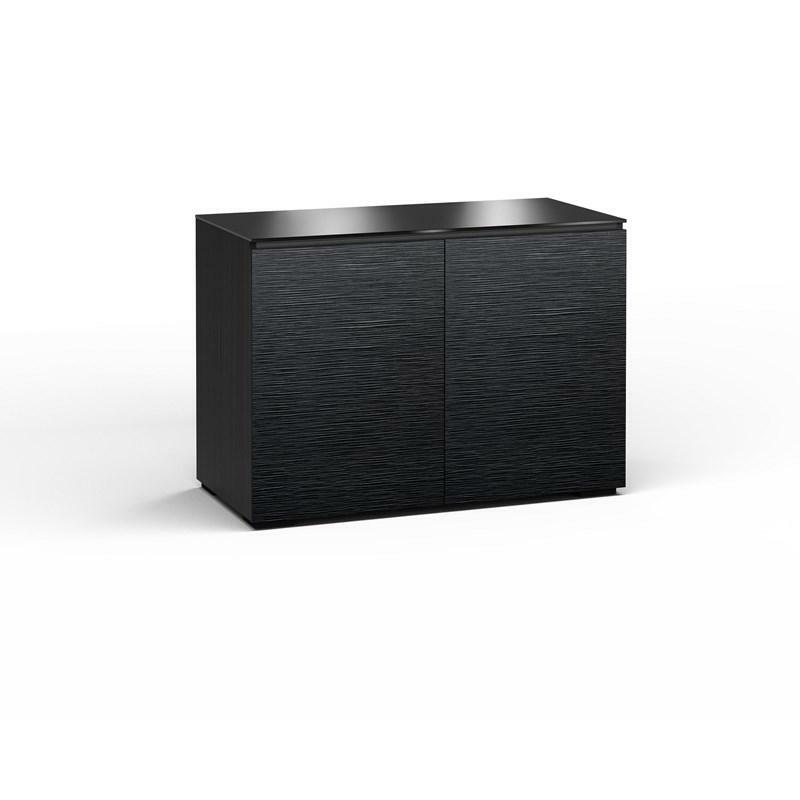 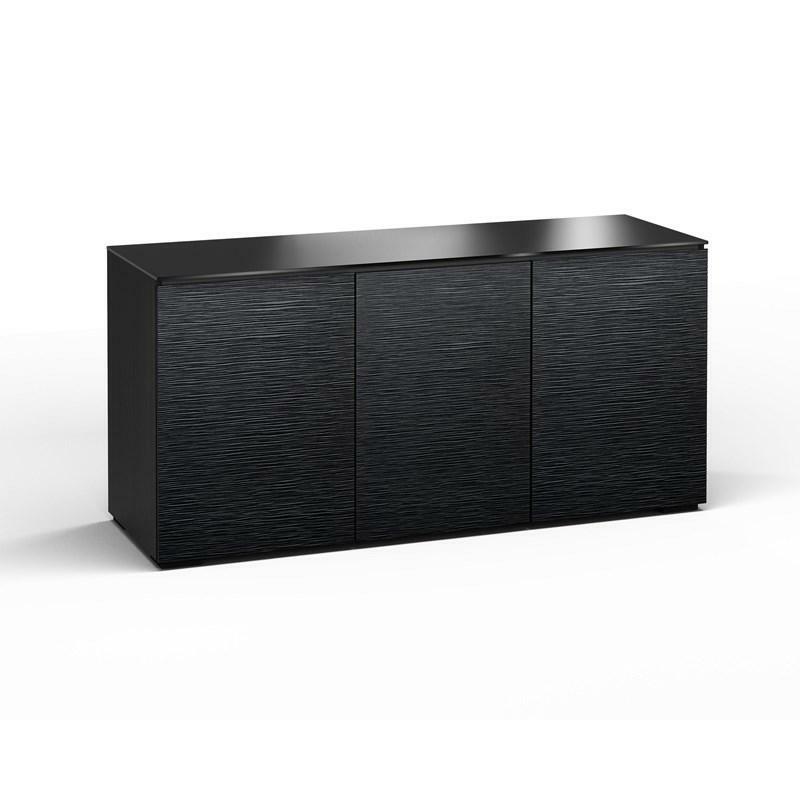 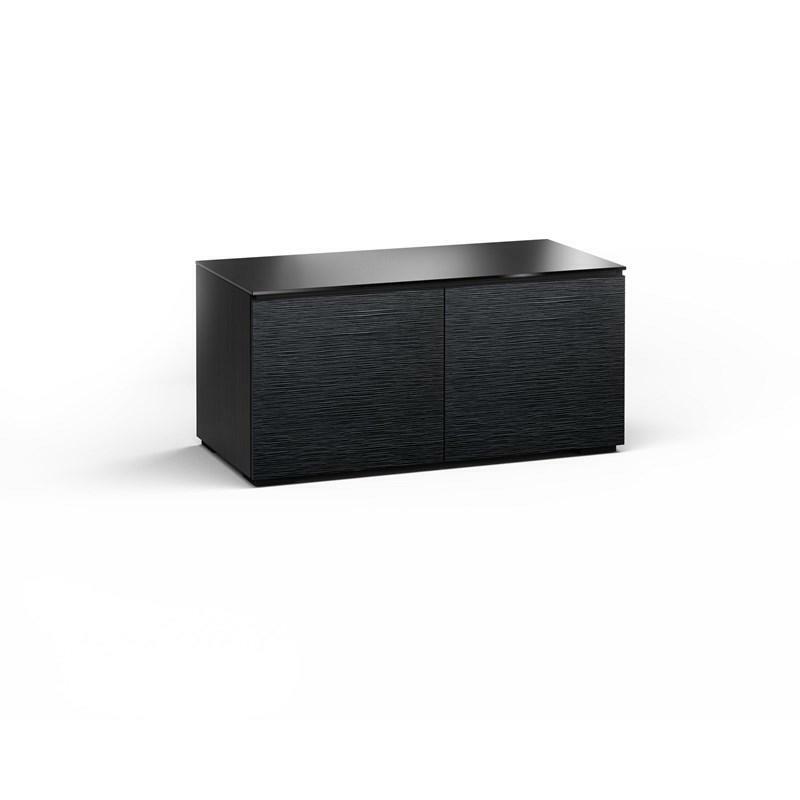 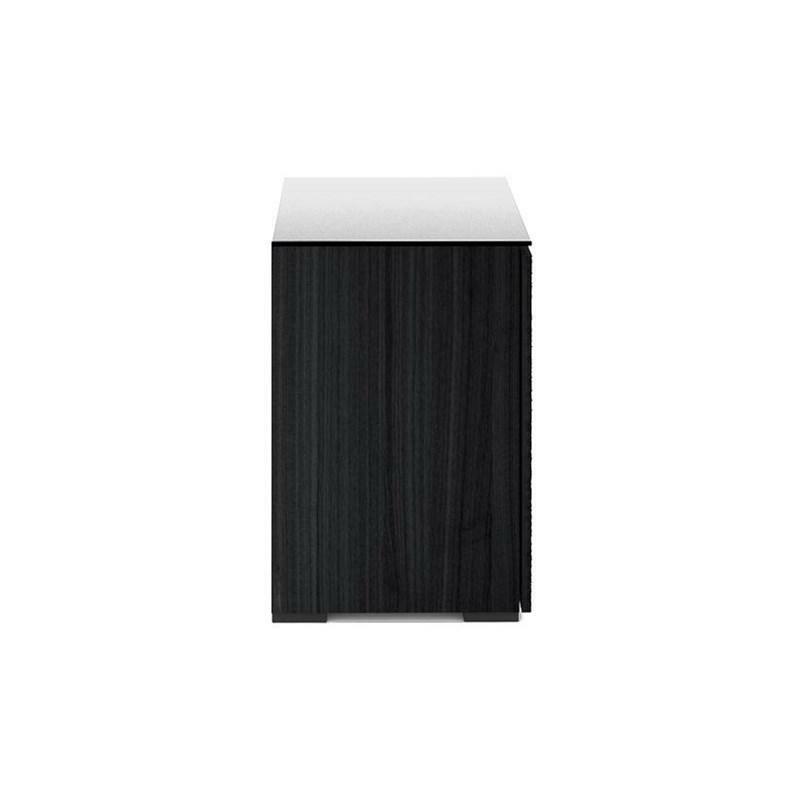 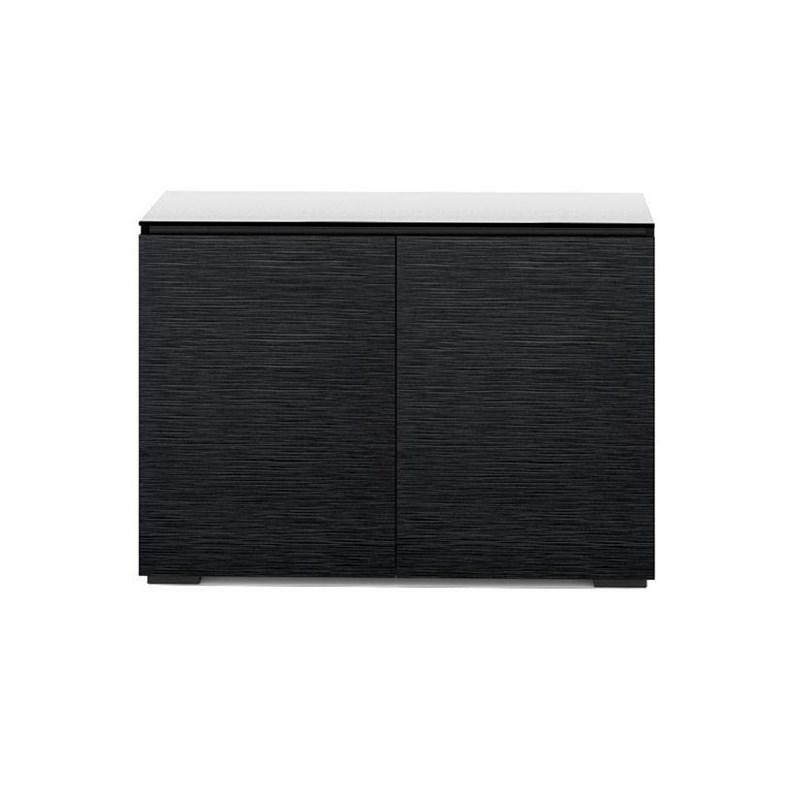 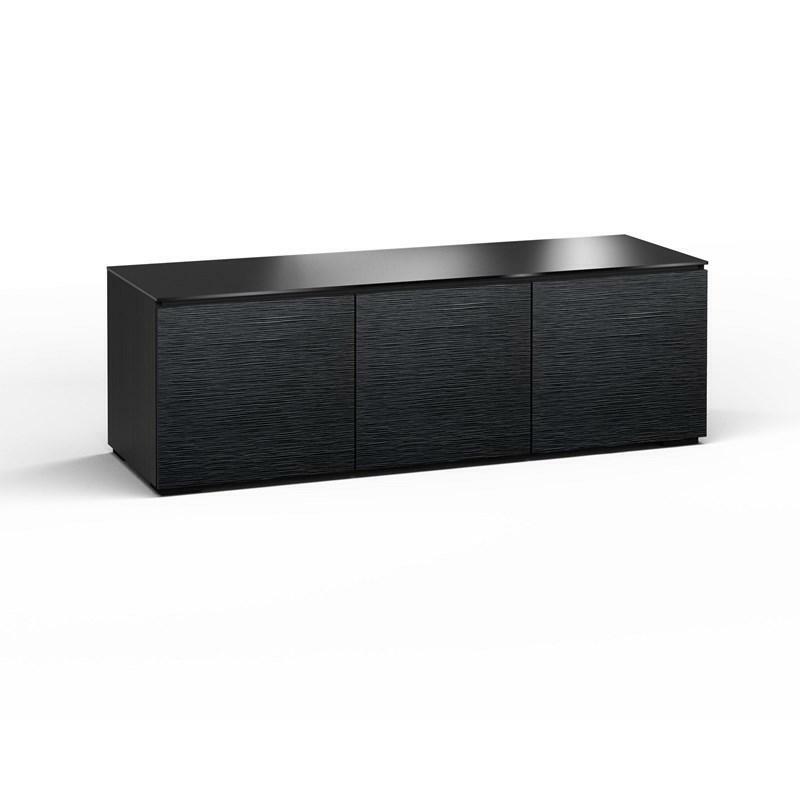 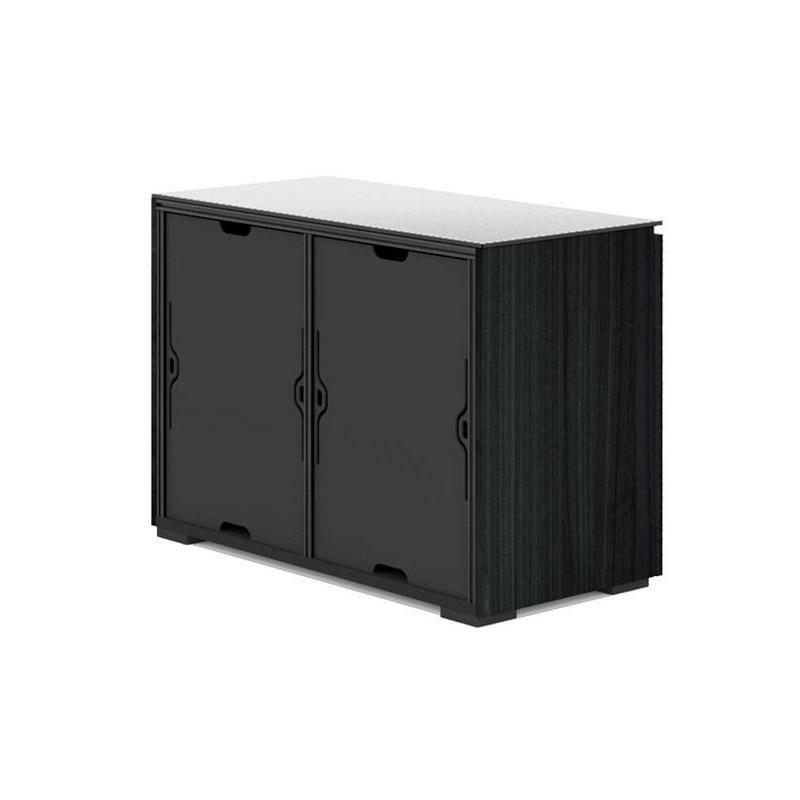 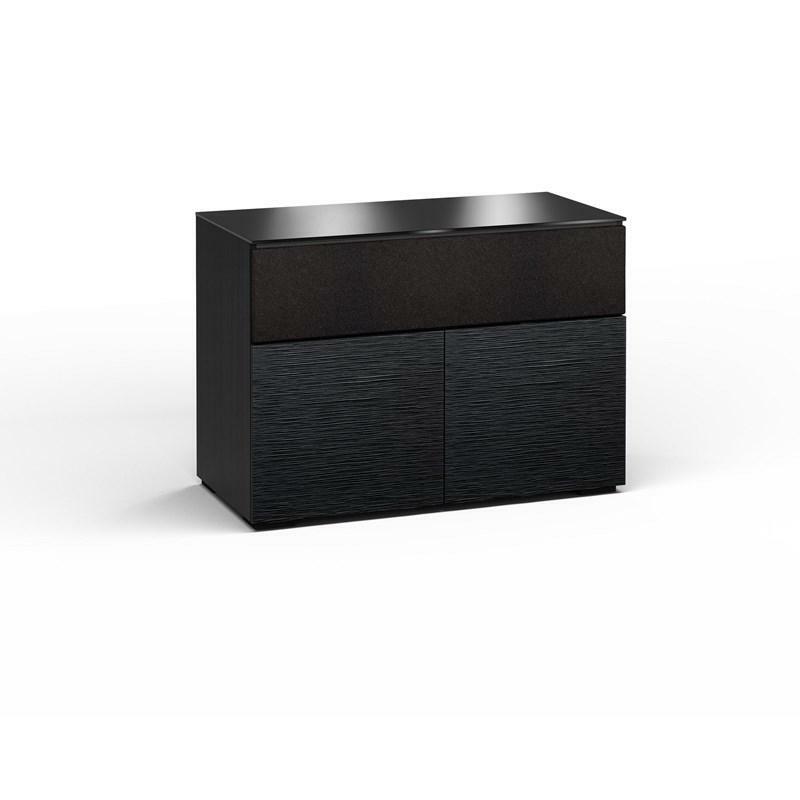 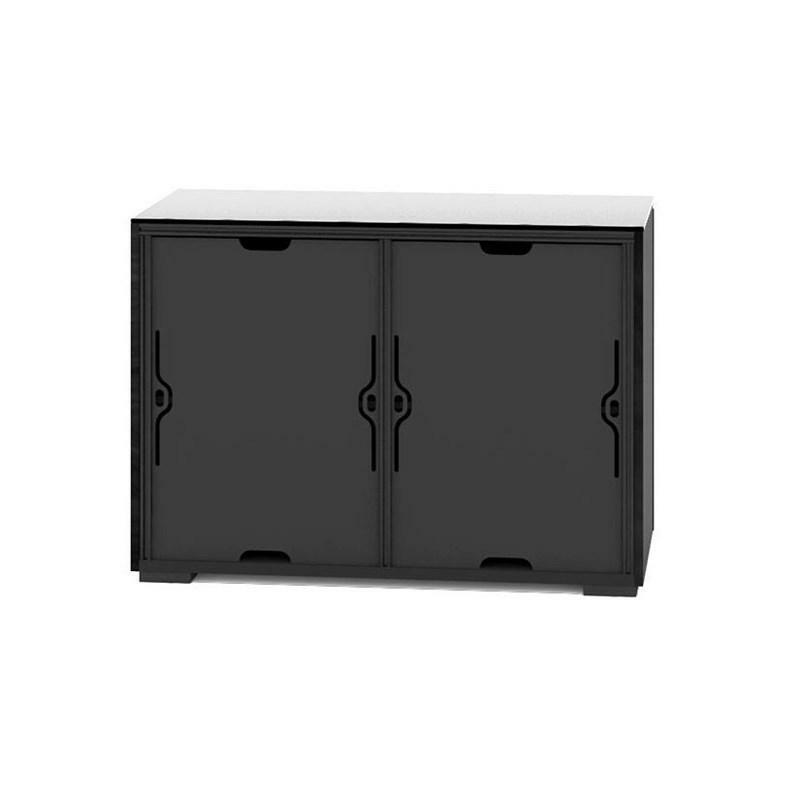 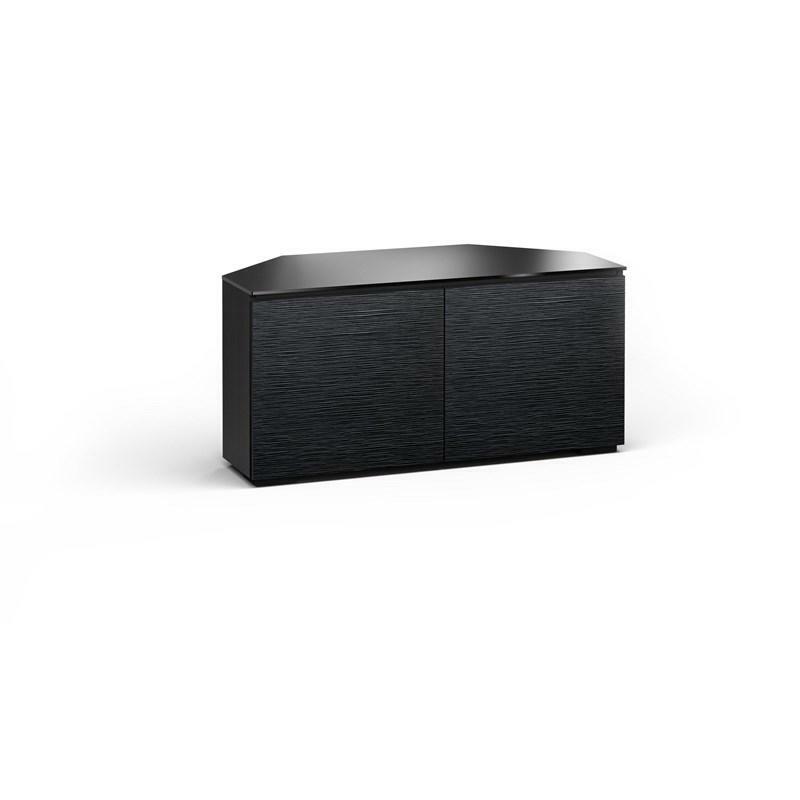 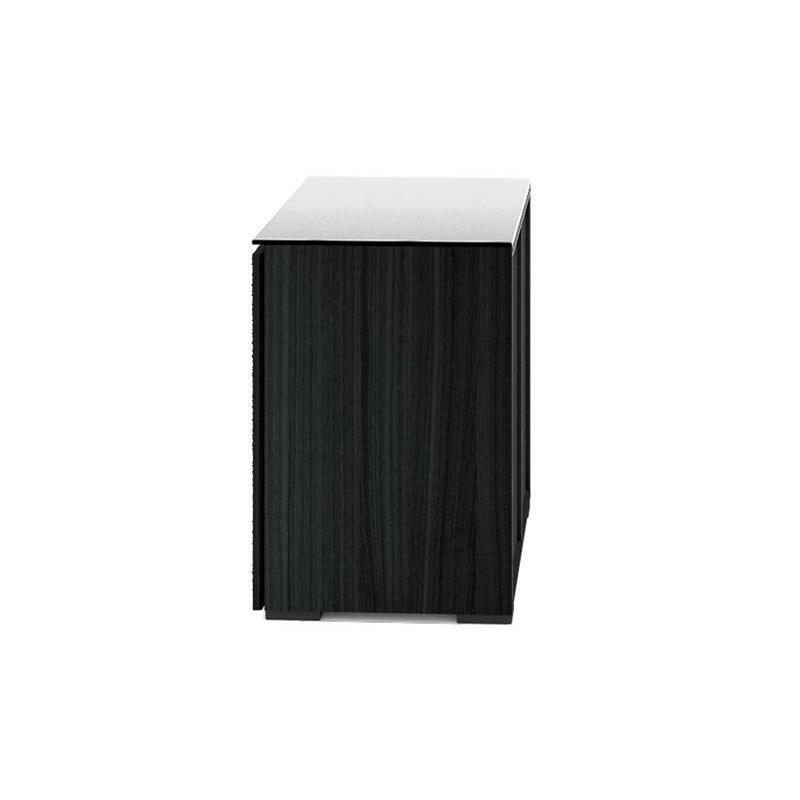 Black oak with black glass top and black feet work in unison, creating the cabinet's hi-tech facade. The C-frame is a unique aluminum chassis designed to provide a strong and flexible furniture platform. 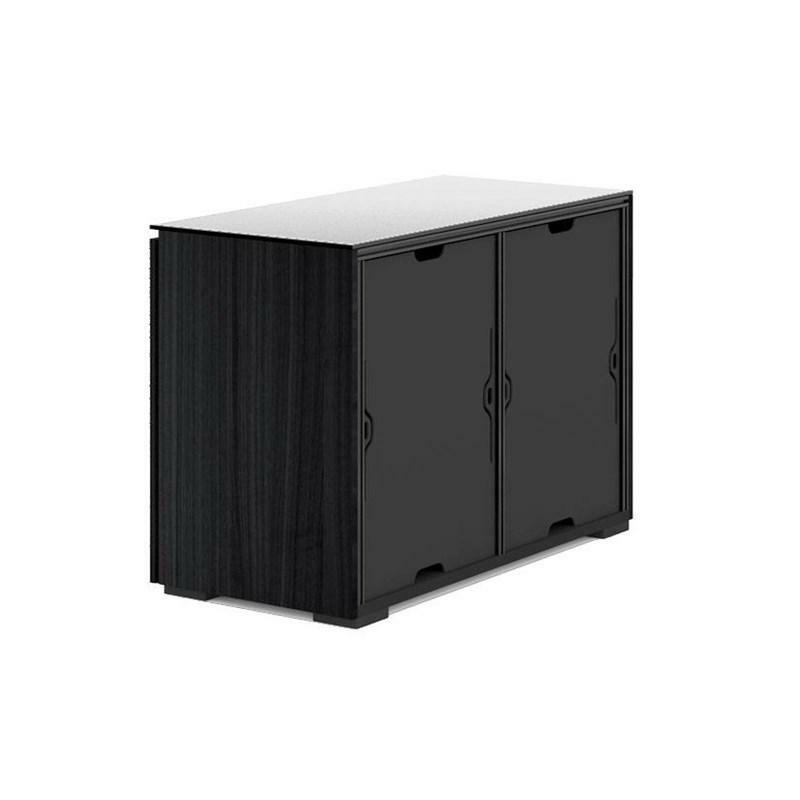 The expertly finished furniture panels are attached to the aluminum structure to create cabinets in various styles. 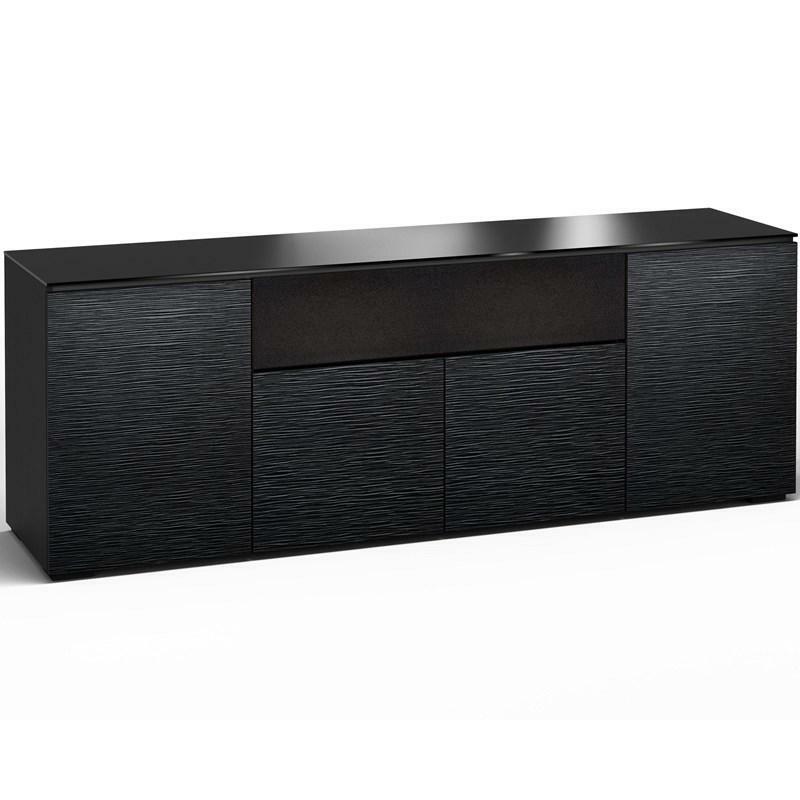 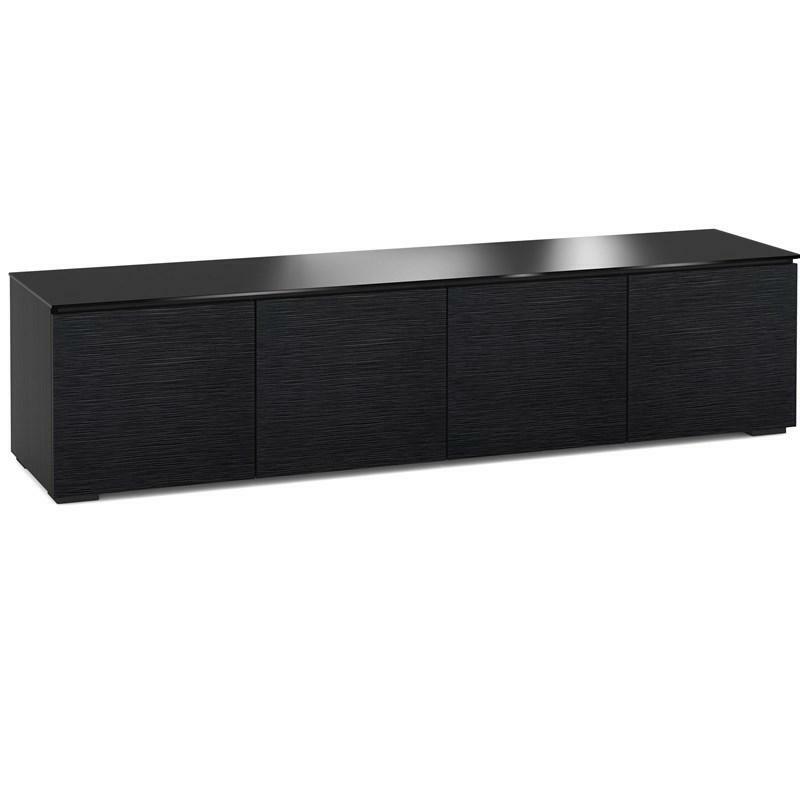 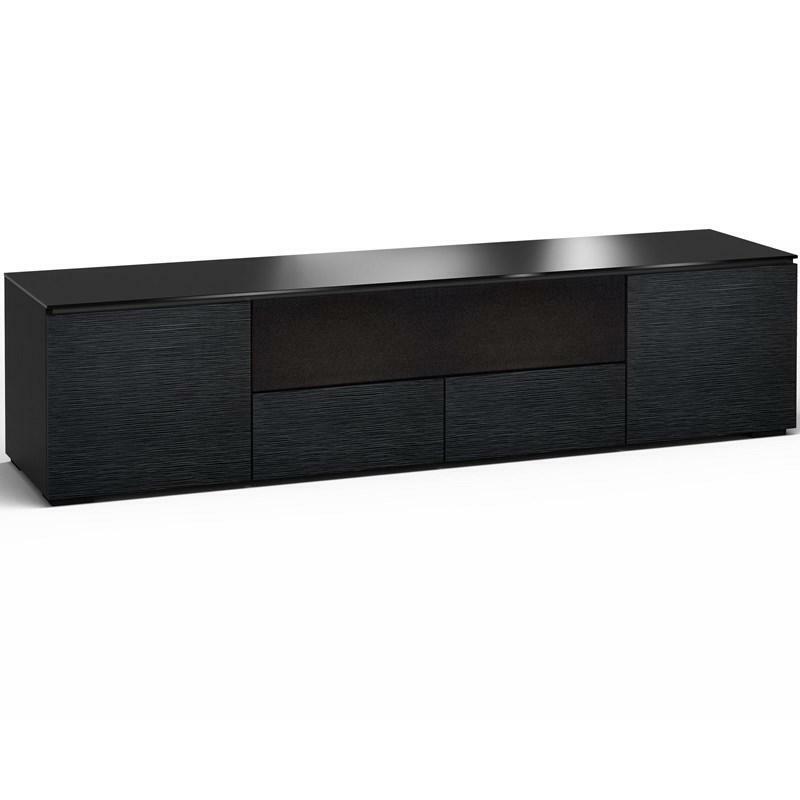 While the end appearance is similar to that of typical furniture, the internal chassis permits a wide variety of bolt-on options and accessories.